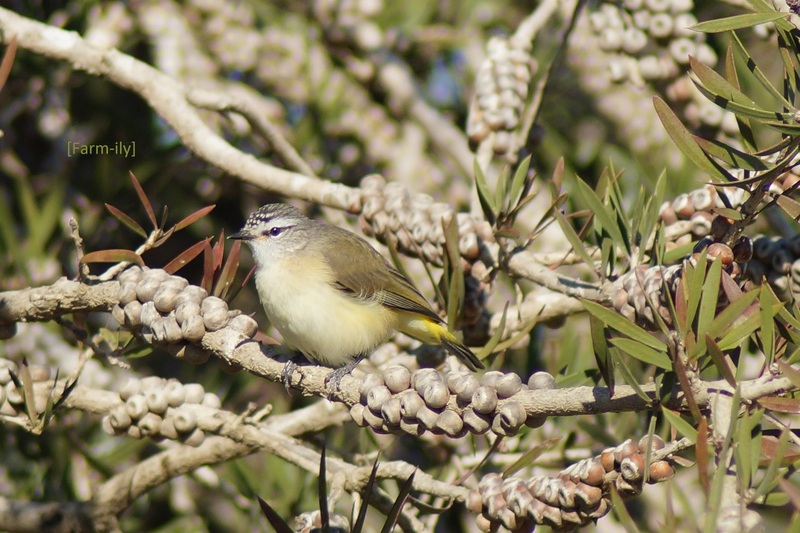 This delightful little bird is a Yellow-rumped Thornbill. He/she brings my count of bird species to 50 that I have sighted and photographed in the last 5 years on our farm. That makes me very happy! If you are interested to see the full listing click on the category “Farm Bird Guide”. What an impressive collection and the Thornbill is lovely. I am busily trying to grow a photographic list too by posting weekly but mine are from quite a few different locations. The Capertee Valley near our home in Kandos is said to have more than 235 bird species so my chances should be good. The problem is getting good photographs of them but I will persist. That is a cute bird for number 50, well, cute for any number.Way to go. I like the way you captured BOTH the bird and the tree. Nice!! WONDERFUL. Our birds are often spectacular. And difficult to capture on camera. Such a pretty little bird in a beautiful setting! And I enjoyed clicking through the lineup of other birds, too! So pretty. I've just signed up to to do the backyard bird count in October, but I like your idea of my own bird guide.